While our day was filled with excitement with our Nokia world coverage, the day is far from over as Apple has launched the next generation iPad and iPad mini just today and yes the new iPad mini 2 does sports a Retina display!! There was a wide spread disappointment among Apple fans when it did not provide retina display in iPad Mini and it featured a resolution of 1024 x 768 pixels which amounts to 163 ppi at par with the present budget tablets like Xolo Tab the first tablet from Xolo. Apple has surpassed this biggest shortcoming and the Apple iPad Mini 2 features 2048 x 1536 pixels, on a 7.9 Inch display resulting in 324 pixels per inches and the iPad Mini is now all set to compete with rivals like second generation Nexus 7 and Kindle Fire HDX tablet. 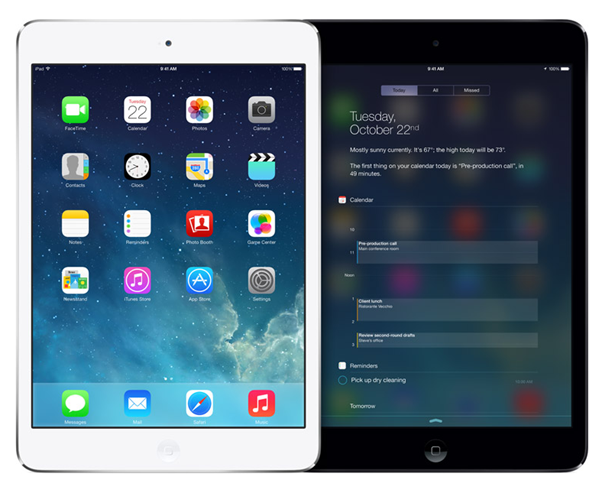 The New iPad Mini Retina Display will run on latest iOS 7 operating system. 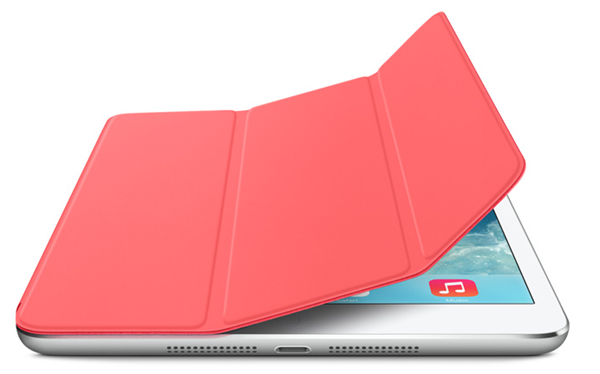 iPad Mini 2 will be powered by the same chipset as the latest iPhone 5s. The 64 bit A7 chipset has made its way to the iPad mini 2 which makes it 4 times faster than iPad Mini with A5 chipset. This is a huge boost in performance. Apple skipped the A6 chipset and directly provided the best out there in this tablet. The M7 motion coprocessor is also present which measures motion from your iPad mini by pulling data from the accelerometer, gyroscope and compass and thus your A7 is taxed less in order to conserve battery. The battery life remains same at 10 hours and the WiFi is now twice as fast. The Facetime HD camera comes with a BSI sensor and larger pixels for better performance and the primary back camera is same at 5 MP and is capable of full HD video recording. The iCloud will offer you seemless integration and sharing between various iOS devices. The iPad Mini 2 will come in 16 GB, 32 GB, 64 GB and 128 GB variants and is only 7.5 mm Thick. It weighs 331 grams which is slightly heavier than 312 grams iPad Mini. The tab also sports dual Microphones for better sound. This device is really very powerful but I m wondering whether it is able to compete with Android based Tabs in terms of price !!! !